Hee Il Cho was born October 13, 1940 in Pohang, Korea. 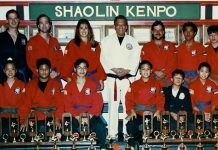 He began his training in the martial arts when he was 10 years old and by the time he was 13 he had his first Black Belt in taekwondo. 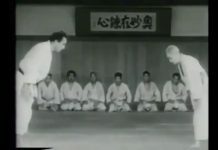 By the time he was 21 he had his 4th dan. He also trained in boxing for two years. Although they were not really gang members, young people used to roam from town to town and beat up kids and take away their toys. One time, I was beaten up by some boys around 12 or 13 years old. At the time I thought it was pretty bad, so I wanted to protect myself. In 1962, at the age of 22, Hee Il Cho had to entered the Korean army to do his compulsory military service. 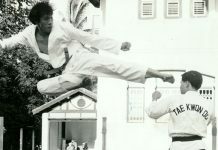 He taught taekwondo to special forces in the Korean, Indian, and US armies. during this time. 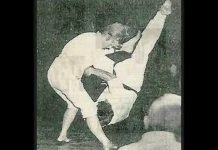 In 1968, he emigrated from South Korea to the United States as a 6th dan. 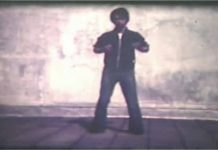 He initially moved to Chicago, initially and then to South Bend, Milwaukee, and Providence, before settling in Los Angeles in 1975. Hee Il Cho lived in Los Angeles for some 25 years, before he moved to Albuquerque, and a few years later, to Hawaii. All this has created a great conflict within me, for if I cannot use my skill to protect myself from any person who walks in off the street and demands a fight, how can I hope my students will retain confidence in my ability to teach them this skill? And yet, if I use my skill and hurt someone, even in self-defense, have I not betrayed the spirit of what martial arts are all about? Hee Il Cho was also an author and his book include Man of Contrasts (1981), The Complete Martial Artist (1981; two volumes), The Complete Tae Kwon Do Hyung (1984; three volumes covering the Chang Hon patterns), The Complete Tae Geuk Hyung WTF (1988), and The Complete One & Three Step Sparring (1988). 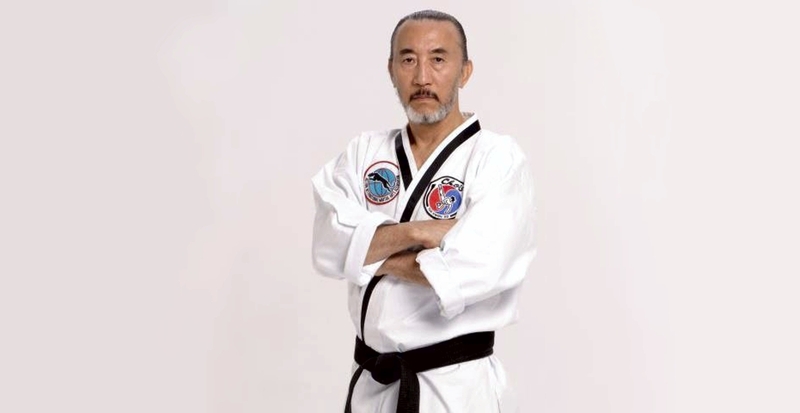 In 1980, Hee Il Cho founded the Action International Martial Arts Association specializing in taekwondo, with schools in cities throughout the United States and Europe. The association sponsors various championships in Europe. Notable students include Philip Ameris and John D’arcy. During the late 1980s, Hee Il Cho became Senior Grading Examiner of the Tae Kwon-Do Association of Great Britain and of Ireland. 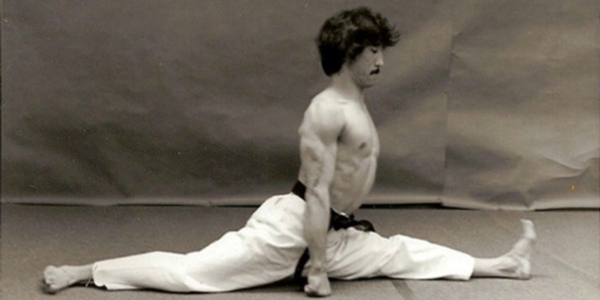 In the early 1990’s he became involved in Global Tae Kwon-Do International. Grandmaster Hee Il Cho, is a true legend in the martial arts community and a respected martial artist. 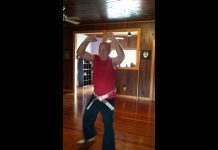 Grandmaster Hee Il Cho has been inducted into numerous martial art Halls of Fame and has shared his 45 years of knowledge with thousands of people around the world. Grandmaster Hee Il Cho has students journey from all parts of the world to train and study with him. From Ireland to India and all throughout the United States and Canada, martial arts students travel several times each year to enhance their skills as a martial artist. Grandmaster Cho has had the opportunity to instructed some of Hollywood’s stars as well as to co-starred in several motion pictures. Grandmaster Hee Il Cho currently lives and teaches in Honolulu, Hawaii. 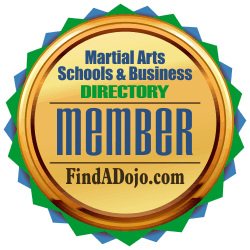 Hee Il Cho and the Action International Martial Arts Association (AIMAA) listing on the Martial Arts Schools & Businesses Directory or FindADojo.com. Contact Hee Il Cho or the Action International Martial Arts Association (AIMAA) from their listing on the Martial Arts Schools & Businesses Directory or FindADojo.com by clicking on the image on the left.